So the power went out Sunday night around 6pm, on both sides of just our block. The linesmen showed up in 90mins or so, and drove up and down the street looking for something. They scrutinized the kite caught in our neighbor's overhead wires, but chose not to take it down. Then they went away. 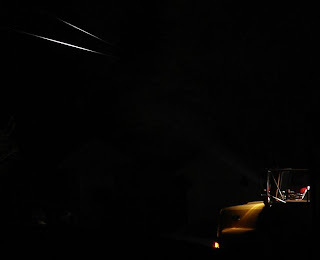 It took 8h before power was restored. I have no idea what they did for the rest of the outage.